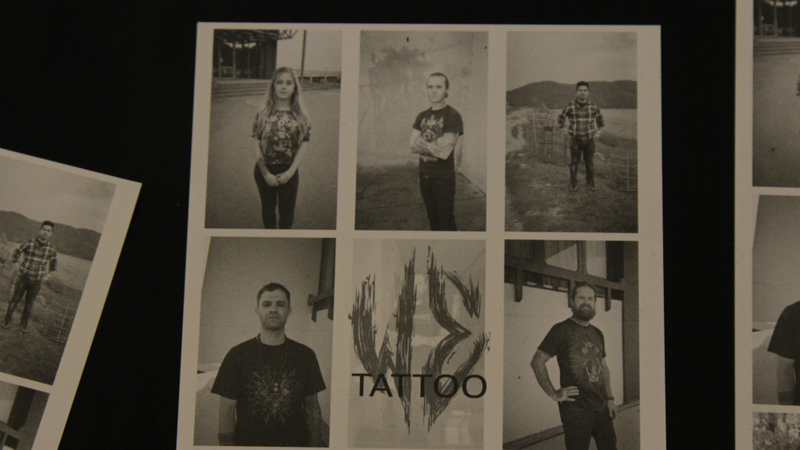 Over the last weekend, I asked one question to several tattoo artists I met for the first time in my life – What is tattooing to you? These artists, subject to my interviews, traveling fromall corners of the globe, had different, individual reactions to the question. For an old timer like Matthew Wojciechowski, it is craftsmanship, for Jacob Wiman (someone much more younger), it is purely an art form, and for a visionary like Dillon Forte, it is ‘futuristic fashion’. As a journalist, as a tattoo collector, and a guy on the fence, I ask that question to myself too. 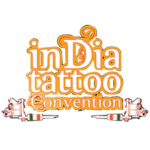 And after attending Nepal Tattoo Convention 2017, I believe tattooing to me is the cosmos of moments and stories in ink I share with my fellows of the tattooed tribe. 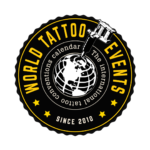 For during the last weekend, I understood more about global economy, thanks to being told (over beers at 3am in the morning) how tattoo artists get around financial obstacles in different parts of the world. 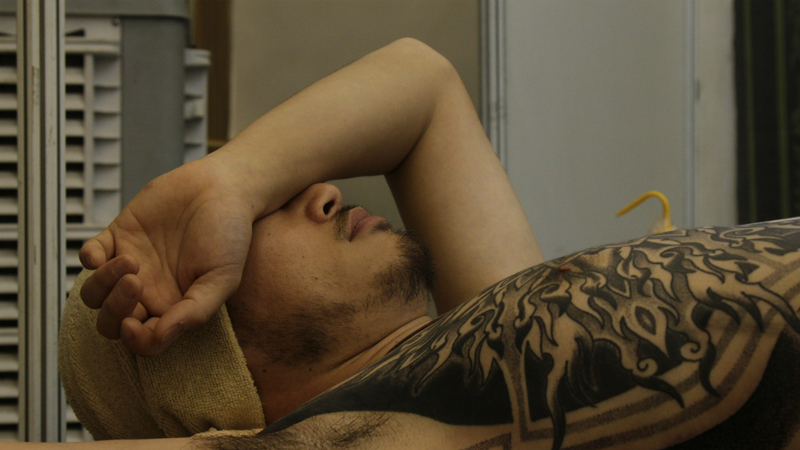 I saw that expression on a tattoo collector’s face when his artist of choice finally got some time to tattoo him. I met skateboarders who are not just defying logic with their skills, but norms with their will. I never saw the convention organiser, Bijay Shrestha sitting for a moment during the convention, but was also the last one to leave the party. 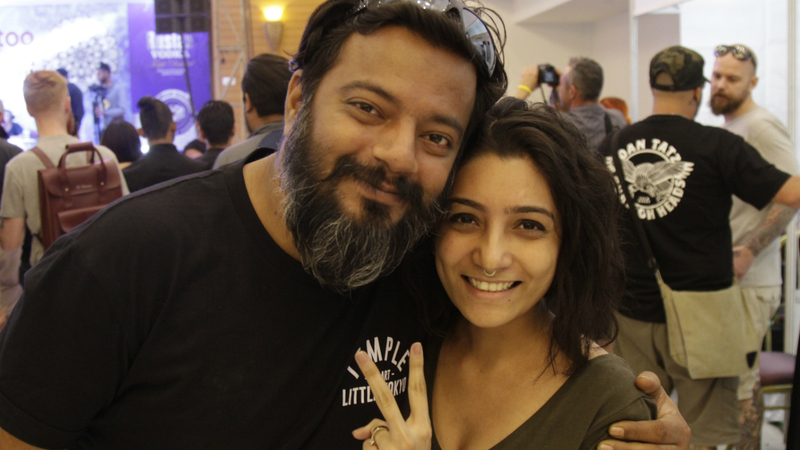 Nepal Tattoo Convention 2017 was a mixed bag. A mixed bag of everything so rare and so good that we are still hungover. The convention had changed its venue this edition, from the iconic Yak & Yeti Hotel of Kathmandu. Many, including me, were quite sceptical of this move, as we all held memories very dear to our hearts associated with Yak & Yeti. But wow, what a convention again! Despite the new venue being slightly away from the bustling market area of Thamel, crowds literally poured in on all three days. It was airy, had a lot of fresh air coming through, and surrounded by small cafes that fulfilled all your needs. From beers to cigarettes, we were pretty much sorted. 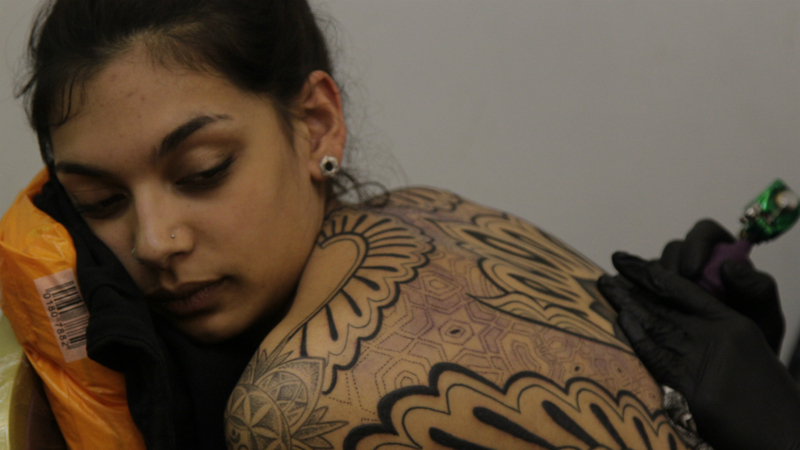 What really makes a convention successful though are tattoo artists not lacking on tattoos to do. 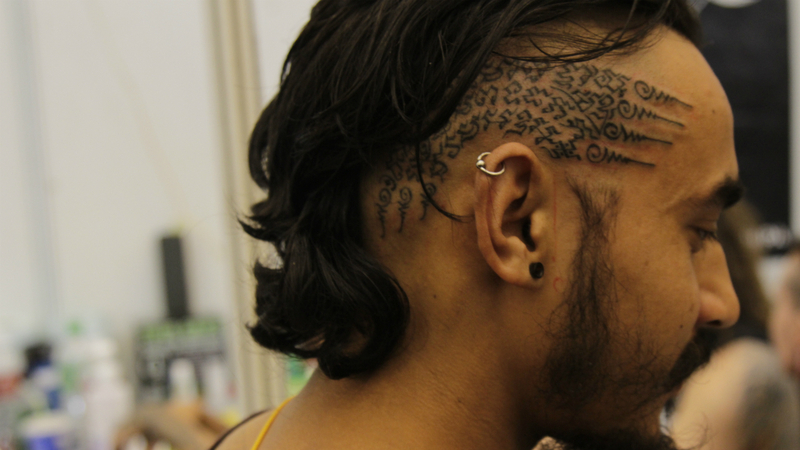 And the Nepal Tattoo Convention hit the nail on the head. Again. For three days straight, my work as the guy with the the camera was cut out. 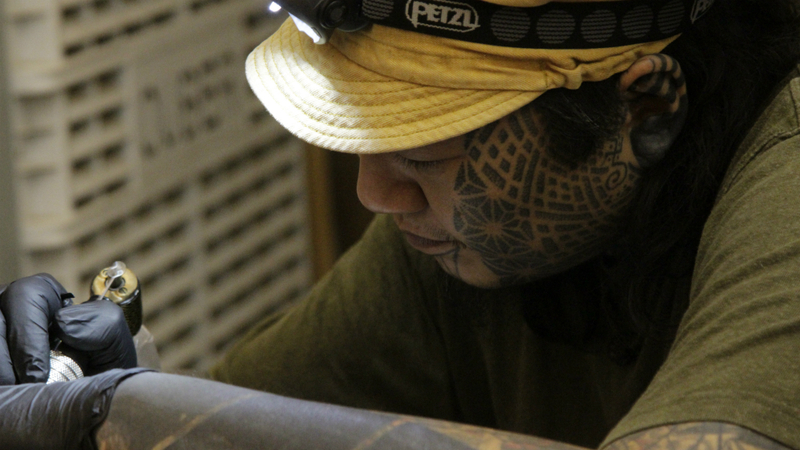 Every artist was tattooing. EVERY. SINGLE. 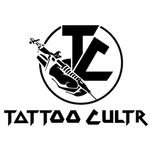 TATTOO ARTIST. 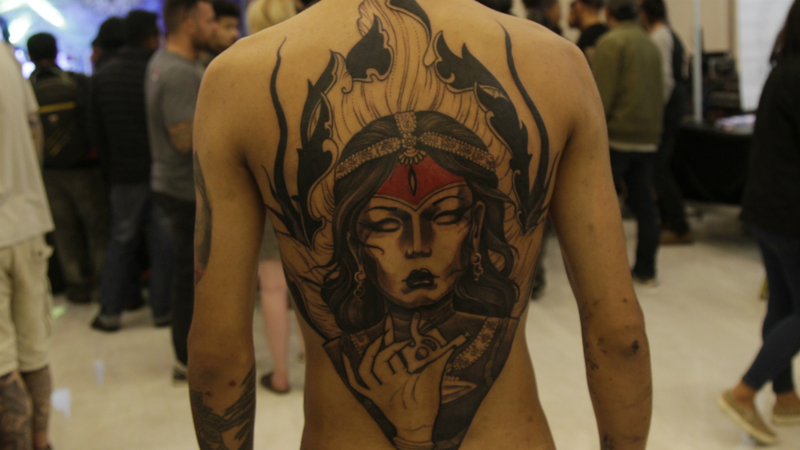 While some like Inky Joe (from UK), or Rojan Shrestha (from Kathmandu) concentrated their efforts on one big piece, a madman like Raph Cemo finished more than three big tattoos in less than three days. From traditional tattoo requests at booths of Matthew and Johnny Thief to people watching in awe the ritualistic tattoo artists from Thailand, everybody was tattooing. 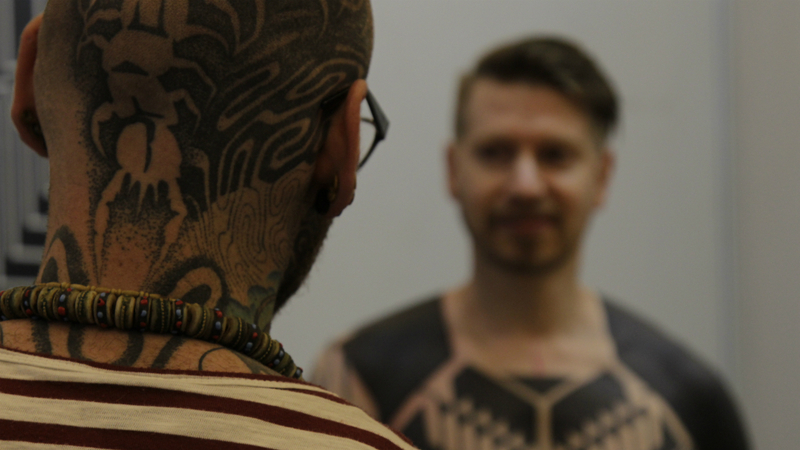 But, the true character and charm of this convention has always been layered in the time we spend in Nepal during those few days as a tattooed tribe. Every year, it feels like going back home to your family, and this year was no different. 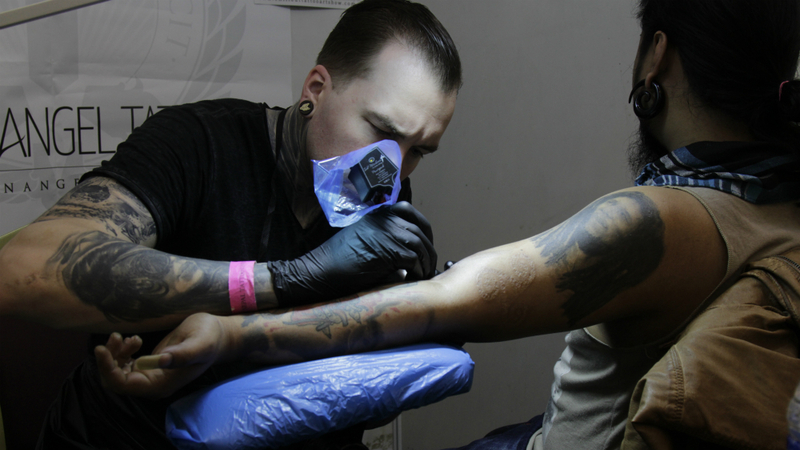 So hey, Nepal Tattoo Convention, same time. next year?